With the upcoming launch of the Samsung Galaxy S®7 and the continued development of more sophisticated mobile devices, the demand for large amounts of storage has never been greater. 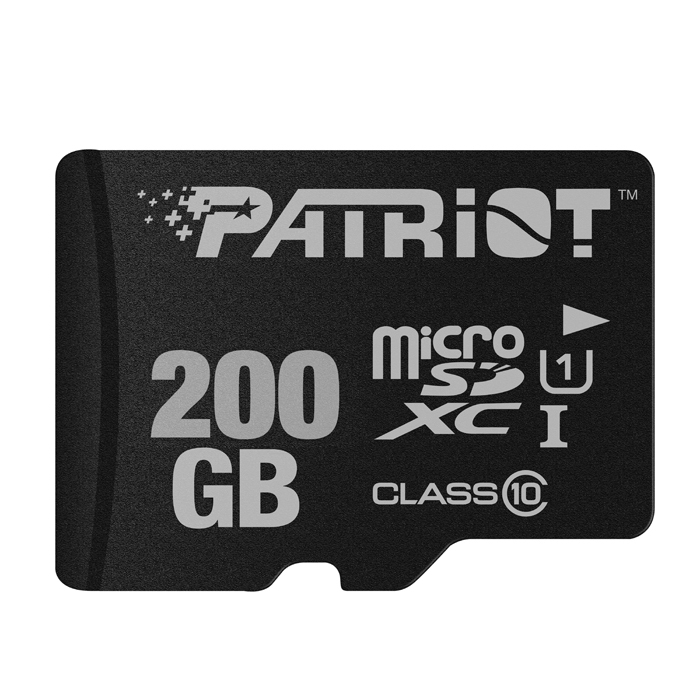 Patriot, a leading manufacturer of consumer flash storage solutions, computer memory, SSDs, gaming peripherals and mobile accessories, today announced the release of the 200GB LX Series and 200GB Instamobile microSDXC. A natural evolution fueled by the ever growing and dynamic storage needs of today’s mobile device users, these new high capacity cards offer an almost limitless storage solution for large HD movies, pictures, music, and productivity files. 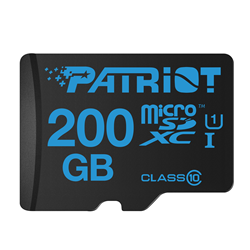 Offering the best price for performance on the market in this category, Patriot’s 200GB LX series microSDXC and Instamobile microSDXC cards will be available March 21, 2016 online and in stores, worldwide, such as Fry’s Electronics, Amazon and Alternate. Prices may vary between regions, see store for details. For more information, visit http://www.patriotmemory.com.